Home › Credit Cards › Credit Card: a Necessity or a Luxury? Today is unquestionably an era of almost every person having a credit card. It is quite incredible and amazing how this small plastic card can buy a lot of things in just a swipe. Many consider having a credit card as a necessity nowadays. While to some, it is a symbol of sophistication and class, therefore making it a luxury. Some look at it as an access to the online shopping world. But really, when can a credit card be considered as a necessity or a luxury? 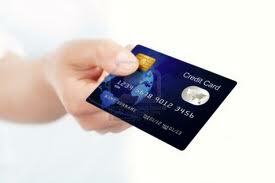 If you are trying to build your credit, then you can consider a credit card as a good way to do it. Just as long as you are making payments on time, and occasionally higher than the required or minimum amount, then you are definitely on your way to making reasonable credit worthiness. A lot of people also find convenience in using credit cards when shopping online or even in actual stores, since they no longer have to bring cash. However, you should also seek guidance of Your Personal Financial Mentor when you plan to take a credit card because he will guide you how to manage your expenses effectively from day one. Are you usually going over your maximum credit limit due to purchasing a lot of items that are not actually needed? Can you no longer function properly because you are spending most of your time thinking how to recover from credit card debt? Been missing out on payments and monthly dues? Then later on worrying because of the rising interest rates that are already more than you can imagine? Doing cash advances using your credit card even when it is not really an emergency? If you answered yes to all the questions above, then you know what that means. A credit card may be a big help for some people, but it will still depend on how you manage yourself and your finances. The important thing to remember is that this plastic card is created not to add financial worries and burden to the consumer, but more so to bring convenience and in some ways, a luxury to our lifestyle. We should not let a credit card control us, rather lead us into a troublesome life. November 22, 2013 Credit Card: a Necessity or a Luxury?